Last week, Twitter garnered outrage when it was accused of instituting a "shadow ban" of conservatives using the popular social media website. A "shadow ban" involves blocking a website account such that the account's content is not readily available to others on a website. The user is unaware that their content is blocked. For their part, Twitter released a statement last Thursday denying that they had shadow banned conservatives or Republicans, explaining that they "rank tweets and search results" in order to make the site "immediately relevant." They also seek to "address bad-faith actors who intend to manipulate or detract from healthy conversation." "[On Wednesday], we identified an issue where some accounts weren't auto-suggested in search even when people were searching for their specific name. To be clear, this only impacted our search auto-suggestions," stated Twitter. In recent years, Twitter, Facebook, and YouTube have been accused of censoring or otherwise harassing conservative groups and individuals who use their sites. Such concerns were even mentioned on Capitol Hill. In April, Republican Senator Ted Cruz of Texas grilled Facebook CEO Mark Zuckerberg about the issue during a meeting of the Senate committees on Commerce and Judiciary. "Mr. Zuckerberg, I will say there are a great many Americans who I think are deeply concerned that that Facebook and other tech companies are engaged in a pervasive pattern of bias and political censorship," stated Cruz. Zuckerberg responded that he understood those concerns, acknowledging that the information technology industry of Silicon Valley "is an extremely left-leaning place." 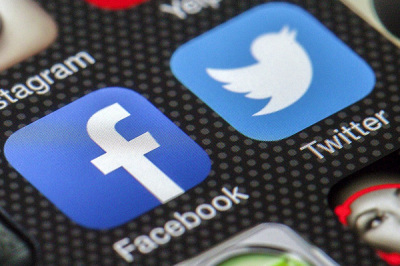 Here are seven times when social media outlets including Facebook, Twitter, and YouTube appeared to censor conservative groups due to ideological bias.